Daniel Rothstein's practice focuses on international commercial litigation and arbitration, in particular cases related to Russia, other countries of the former USSR and Israel. He has been working with our firm since 2009. 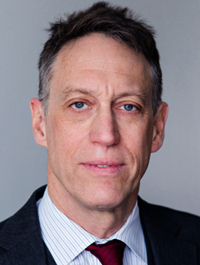 Mr. Rothstein's experience includes over ten years of practice with prominent New York litigation firms and nine years in Moscow representing Russian and foreign companies and Russian government agencies in international transactions (1990-2000). During 2002-09, he defended a legal malpractice case that arose out of advice on Russian tax and securities law and resulted in summary judgment for the client law firm. He is fluent in Russian and Hebrew, and proficient in German. Mr. Rothstein has been published widely on issues of international and comparative law, and is an officer of the New York State Bar Association's International Section and the American Bar Association's Russia/Eurasia Committee. Mr. Rothstein received a bachelor's degree from Cornell University, a master's degree from Hebrew University in Jerusalem and a JD from Cornell Law School, where he was the Editor-in-Chief of the Cornell International Law Journal. Mr. Rothstein served as law clerk to Judge Albert J. Engel of the United States Court of Appeals for the Sixth Circuit, Chief Judge Howard G. Munson of the United States District Court for the Northern District of New York and Judges Aharon Barak and Eliezer Goldberg of Israel’s Supreme Court.